The present-day technologies are under constant threat as the emerging technologies are intimidating to take over and in this context, one of most searched emerging technology buzzword since 2017 is Blockchain and it is envisaged that by 2030 the Blockchain’s business value would be more than $3.1 trillion according to Gartner. From the nascent stage a few years back when people were just interested in the financial applications using Blockchain, it has evolved in developing use cases and Decentralised applications in use for various industries. Some of the most prominent industries where Blockchain would transform the way the business is done are shipping, logistics, insurance, banking, education, and even government’s institutions. The Blockchain adoption is kicking in at quite a fast pace and almost 66% of the institutions in the world are having some or other idea of what Blockchain is. The following graph depicts the Blockchain adoption worldwide. 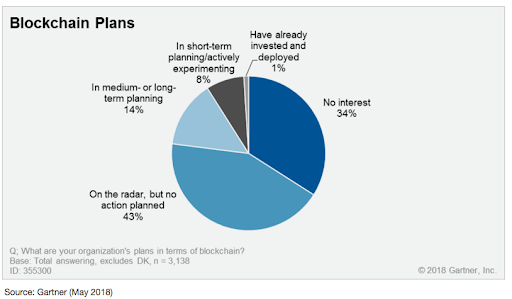 Though it is just 1% who already invested in or developed Blockchain applications but that’s going to be incremented at a very fast rate in days to come. In this article, I would primarily be giving a high-level understanding of Hyperledger, Composer, and Fabric before we get into the technicalities/functionalities/implementation in the further blogs. The Hyperledger is an incubator for the Blockchain technologies that promote advance cross-industry blockchain technologies. It is a global collaboration, hosted by the Linux Foundation which includes leaders from all the domains in business from finance, banking, supply chains, manufacturing, and Technology. Hyperledger Burrow – Burrow is hosted by the Linux Foundation which operates as a permissioned Ethereum smart contract blockchain node and was designed by Monax. Intel is the sponsor for the project which is currently in the incubation stage. Hyperledger Iroha – Iroha is hosted by the Linux Foundation and is a distributed-ledger platform created for financial and identity use cases like certificate authenticity and patents etc. Hyperledger Sawtooth – Sawtooth is an open source blockchain platform proposed by Intel. It has a unique support for permissioned and permissionless infrastructure and can handle even very large network sizes. Hyperledger Cello – Cello is used for creation and management of Blockchain Infrastructure. Hyperledger Explorer – Explorer provides the visibility into operational Blockchain system. Hyperledger Quilt – Quilt aims to achieve the interoperability between different chains. Hyperledger composer is Distributed ledger technology framework which is an open development toolset for developing the Blockchain applications easily. The hyperledger Composer is used to quickly model your current business network, containing your existing assets and the transactions related to them. The setup of the Hyperledger composer would be detailed in the next blog, but for now, understand that hyperledger composer helps in integrating the Blockchain applications with the existing business. 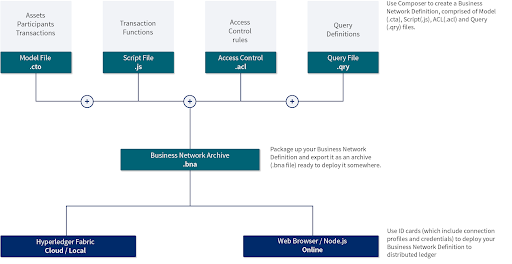 The Hyperledger composer along with VSCode or Atom edition extensions helps in building the Business Network Application (BNA). The BNA consists of Model file, Access Control File, Logic File, and the Query File. The BNA file can be deployed either in the cloud (IBM Blockchain Platform) or local (Playground). This further can connect to the external applications with REST API generated by the composer-rest-server. 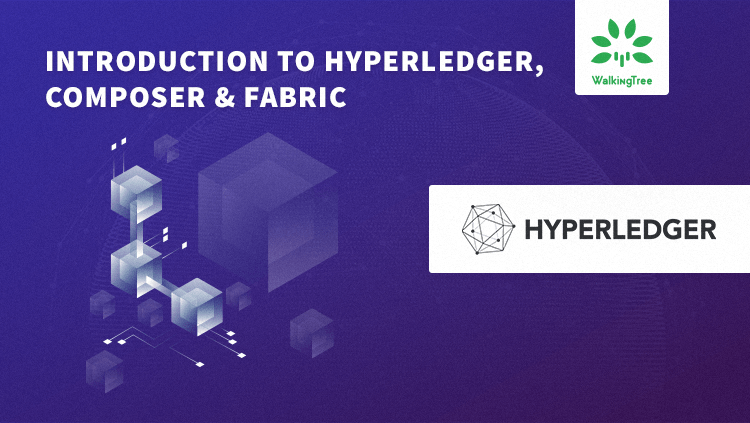 Hyperledger Fabric is one of the blockchain projects within Hyperledger. It uses the distributed ledger technology framework and Smart contract engine for building scalable Business Blockchain applications. The fabric is intended for developing applications or solutions with a modular architecture and allows components, such as consensus and membership services, to be plug-and-play. Like other blockchain technologies, it has a ledger, uses smart contracts, and is a system by which participants manage their transactions. In simple words, Fabric is a production-ready Blockchain Framework for building Business Blockchain Applications which has the infrastructure, application building blocks, practices and guidelines for creating Blockchain Applications. The present-day problems and challenges with the Distributed Ledger Technology are Inconsistency, Confidentiality, Standardization, Interoperability, and Scalability. The Hyperledger Fabric addresses most of these challenges. In this article, we learned about the importance of blockchain. We also got a high-level view of Hyperledger, composer, and fabric. Subscribe to our blog to get instant updates, as soon the new blog gets posted on the discussed topic. Very informative Article. The author has a passion towards the latest technologies.